This post is something I wanted to write for a while since before I even started this blog. I do not really know what this turns to be now that I indulge in writing it, but the composer/pianist I am focusing on is perhaps the greatest source of inspiration for me from the musical world and his music bears a great amount of personal significance for me. It sounds a bit cliché to say that some particular piece of music cured depression and it would be an overstatement to say that here too, but there is something special about music that resonates with how you feel and makes you feel a sense of connection. Do not get me wrong, I have listened to music all my life - different kinds of music too. The evolution of my taste has gone from techno to power metal to romantic era classical, always avoiding hip hop/rap, neither of which I have never found tremendously stimulating. When it comes to "classic" classical music, everyone has heard of Beethoven and Mozart. From the Romantic Era, most people recognize names such as Tchaikovsky and Liszt, even if they can't quite put their finger on "that tune" that they know from them. However, unarguably one of the great ones was the Russian-born Sergei Rachmaninoff, also sometimes referred to as the Last Romantic. Rachmaninoff had his fair share of bad fortune and plummeted into depression after the failure of his first symphony. During this depression that lasted for 3 years, through which he got with professional help, he composed virtually nothing. After recovery, he composed two short pieces Morceau de fantasie and Fughetta in F major. I mention this only, so that I have a "donkey's bridge" (Finns might get this) to a piece from him that I absolutely love and that also turned out to be one of the most popular ones among the collection that was later titled Morceau de fantasie. That piece, of course, is the first piece I aspire to play from him one day (in around 10 to 30 years), is the prelude in C-sharp minor. It is a rather manic but beautiful piece, that'll hopefully be within the range I will one day be able to play. The first big composition he did after his depression was one that he actually dedicated to his therapist, the 2nd Piano Concerto. It is a stunningly beautiful masterpiece and unarguably one of the most famous pieces from Rachmaninoff. I will probably do some analysis on it at some point when my theoretical understanding is at the level of being able to even theoretically comprehend what is going on there. For now, I am restricted to enjoying it's magic-like beauty. The following interpretation is among the most watched ones on YouTube and no wonder. I'm not sure whether it is my favorite one, but it is up there for sure. There are quite a few contenders (Denis Matsuev's is also great as his style of industrial might fits many parts of this piece like a charm). As one can probably guess, this piece is rather taxing to play for the sheer endurance required, not to mention the technical capabilities of the pianist. 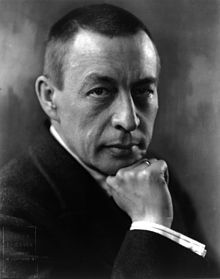 Rachmaninoff did compose for instruments other than piano as well, but as he himself was a capable pianist (capable of playing everything he composed which is actually nothing easy, sadly), most of his work is revolved around one or more pianos. He was also a big admirer of Tchaikovsky (who luckily also composed pieces that humans can play), and Tchaikovsky's death has been said to affect his work - as did his compositions, especially in his earlier work. His magnum opus though (guess there's some room for argument there) is the magnificent Piano Concerto 3. This is the piece that really made me fall in love with his music as it is in it's beauty and complexity so intellectually and emotionally satisfying that I do not think listening to it will ever get old. I know the story it tells is different for anyone listening to it, but I am sure everyone can find their own story in this piece. It is probably his hardest composition to play, even if some of his etudes are right up there with it. I chose Martha Argerich's interpretation here even though the sound quality is not the best of the ones out there, it is still probably my favorite one. Martha is undoubtedly one of the greatest pianists of this century (and last) and a great figure to follow as well. She has said that she feels lonely on stage with the piano and I would think that's one of the reasons why she has also done a lot of four hands and two piano performances. But that's a topic for another day. The movie Shine is also at least partially about this piece. It is based on a true story about David Helfgott, an Australian pianist who performed the piece (and won an award for it). The story itself is a story of a man coming from harsh circumstances of a deeply conservative family that (in the movie) lead to a mental breakdown of sorts. I do not know how tightly the plot of the movie is tied to the real Helfgott's life, but it was at least inspired by it. Geoffrey Rush earned an Oscar for the role and I would recommend the movie if this sort of drama floats your boat. I guess this post became a bit of a showcase than an overview of some important parts of his autobiography rather than an explanation and exploration of my personal relationship with his music. I picked pieces that are probably more approachable to first timers, as for myself, I have noticed that I am deviating towards his shorter works of late (most of them for solo piano). Hoping to at least be able to play some of his compositions at a later date is what keeps me motivated and whether this'll ever come to be remains to be seen, but I've always been a fan of setting high goals whether you eventually reach them or not. In this spammy torrent of YouTube videos, I would like to add one more - some "lighter" listening perhaps. Nikolai Lugansky's interpretations of Rachmaninoff's work are amazing and I feel he "gets it". So spare a moment. While I wish I would have discovered his music earlier to get motivated earlier, I do feel lucky. Finding a sort of purposeful drive for self-expression in a world where hatred has become the predominant motivator, albeit absent purpose, feels profound... it feels special.